- A list of more than 5000 verified API's vendors. including DMF's availability, Purity, CEP, FDF dossier availability, contact details/ Distributors/branch etc. including regulatory information, price ranges US market, EU, Canada and other regulated markets and rest of the world. 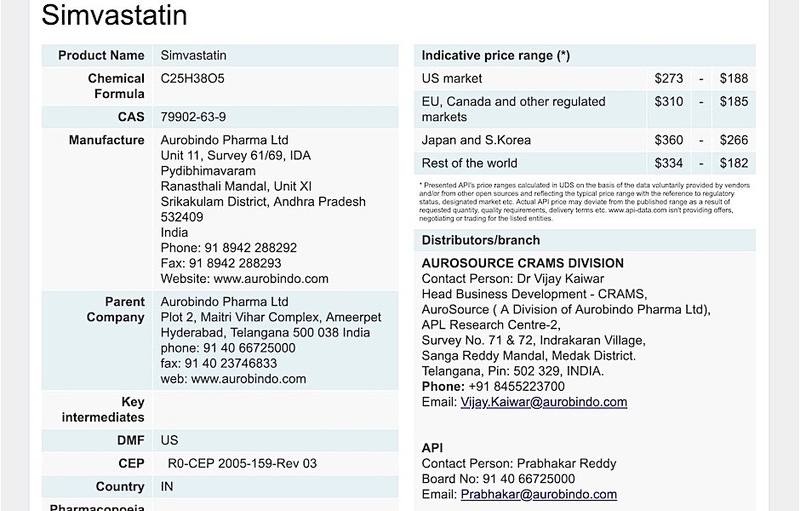 06.03.19 Active pharmaceutical ingredients list of Cambrex Corporation have been listed in database. 12.09.18 Tianjin Jinyao Group Co Ltd company's list of API's and related data was updated: 29 confirmed APIs. 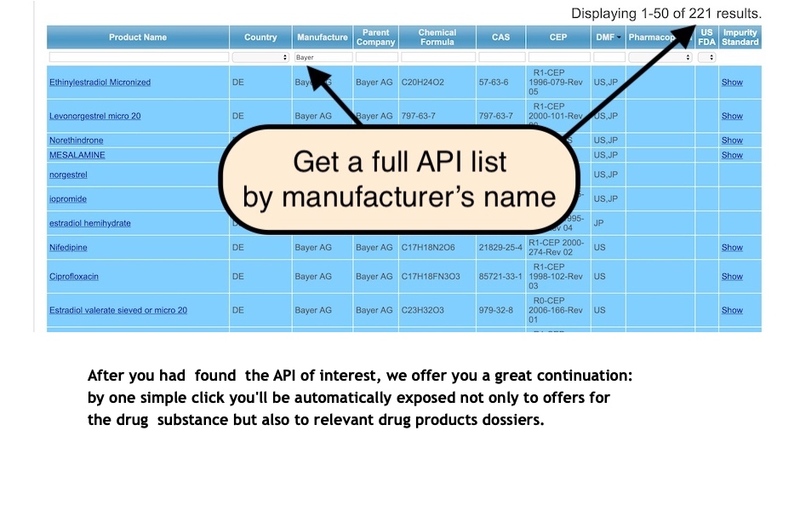 10.08.18 Fosun Pharmaceutical Group company's list of API's and related data was updated - all the information is already inside the database. 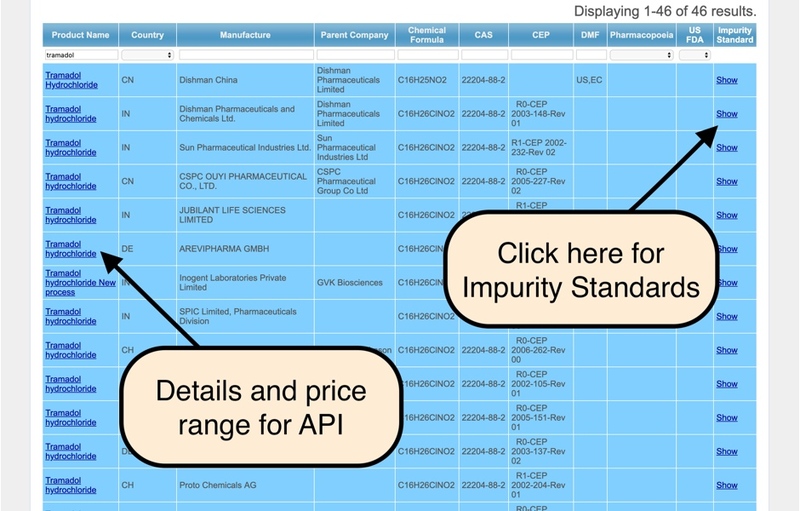 05.07.18 Lists of standards and vendors offering them to listed API was added. 09.06.18 PMC Group company's list of API's and related data was updated - all the information is already inside the database. 05.06.18 All the vendors having the corporate offices, production sites in China: We are offering free registration of your products at our database. 9.05.18 Bachem AG company's list of API's and related data was updated - all the information is already inside the database. 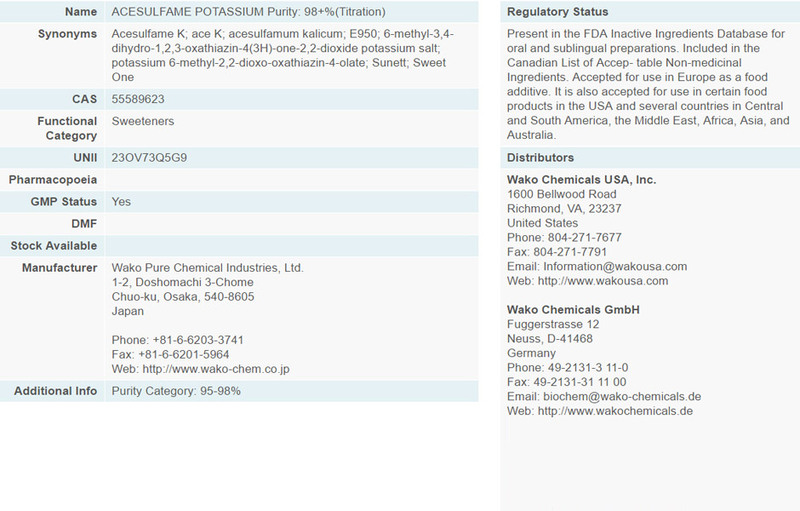 20.04.18 Calyx Chemicals and Pharmaceuticals Pvt Ltd company's list of API's was updated: 34 confirmed APIs, 16 Active US DMFs and 4 Active COSs. All the data are real and validated. We are performing continuous monitoring vendor's lists and correcting/updating the database at real time. We don't initiating customers review - one of the best evidences of our high rating is the position of our site in search engines. We are continuously monitoring market developments and adding all new API's / excipients recently approved! Even for most recent products the information is inside! We validate and periodically re-checking listed vendors - no chance you'll look for vendor and find the "trader". We are preventing unfair people to be the part of our list. We don't share details of our customers with third parties - you can be 100% confident. No "fishing", no spam mail, nobody will disturb your organization! Our system is maintained and updated on daily basis, providing on-line (24/7) customer support. For any unresolved issue, the customer can contact us and submit the question or request - we'll take an immediate care - in line with our tradition of outstanding customers support. Our upgraded search engine permits to look for the compound of interest by selecting different criteria, like: Functional category, GMP status, DMF availability etc. 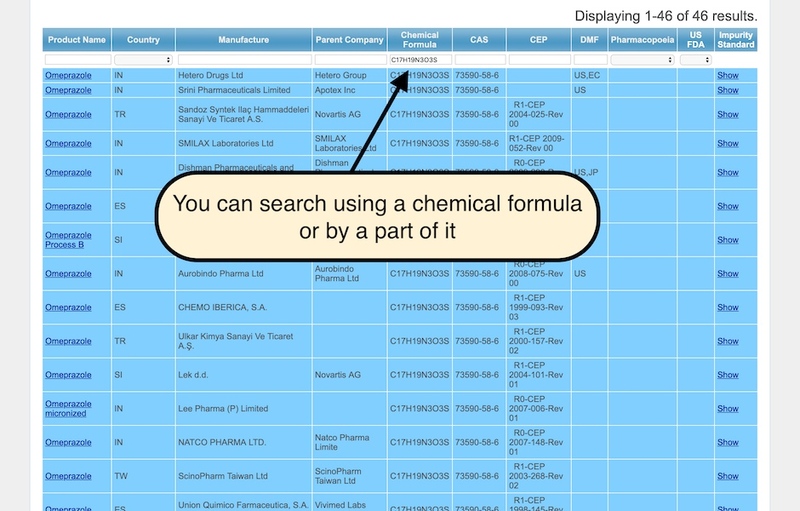 Depending on the needs, our customers can easily retrieve list of all the compounds belong to functional category, for example : "preservatives" and , if necessary, modify the search results by adding other criteria.Every of more than 13000 listed compounds is classified by its regulatory status, CAS number, UNII number etc. It will permit the customer receiving accurate and complete list of manufactures - only those comply with the selected criteria.